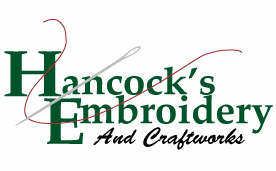 We have been providing our customers with apparel, accessories and custom embroidery since 2005. Let us help you today. Shipping Information: Please click box in upper right hand corner to view our shipping information. Generally, Products will ship within 10 business days after confirmation of order. Actual shipment date depends on product and personalization and will be determined when order is placed. International orders are accepted, however, please contact us via email to confirm shipping options and cost prior to placement of your order. We take Customer Service to heart -- Our goal is your complete satisfaction. Problems or mistakes due to an error on our part, will be corrected as soon as possible. We will work with you to correct any other problems with your order. Please contact us by email or phone within 30 days of purchase. All Returned orders will incur a 20% restocking fee unless an error was made on our part. Shipping fees are the responsibility of the buyer. All returned merchandise must be returned in original condition. A credit will be issued when the item is received at our location. Sale items are non-refundable. Personalized items are refundable for mis-representation of product only.